More often than not, finding our "style" is a journey...a road that we walk as we mature, grow and evolve in our own distinct way. So many things contribute to how we decorate our homes and spaces; finances, life experience, and even our spouses affect our choices. I'm still on my path, as most of us are. We have basic elements that we can hone and tweak, but we rarely discard our basic design core. I've known Polly since I first started blogging. Her original blog was Sassafras Stuff. She's been a busy gal these last few years with antique spaces and now a new store. 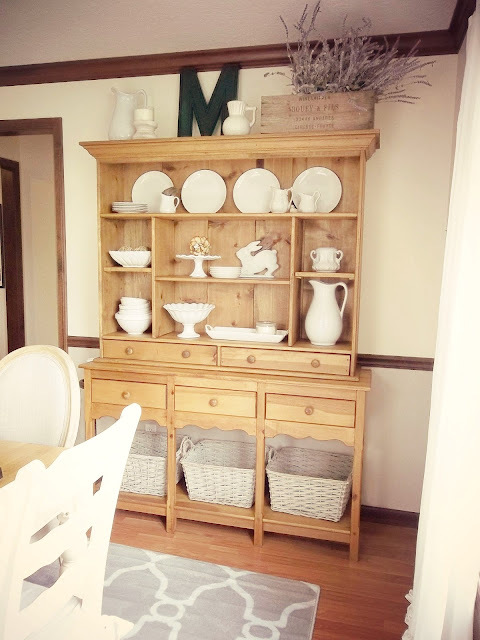 In her new blog, Georgie Emerson Vintage, Polly shared how her Dining Room has evolved over the last few years, as she searched for just the right pieces. has been evolving her Dining Room to bring it to a French Farmhouse feel. 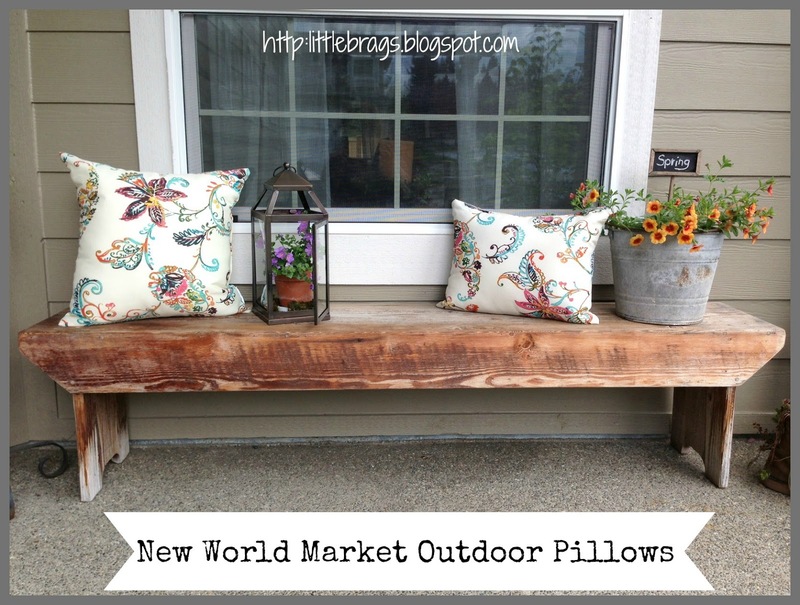 Christine from Little Brags shares her wonderful front porch refresh. shared her mad furniture making skills with these two projects. 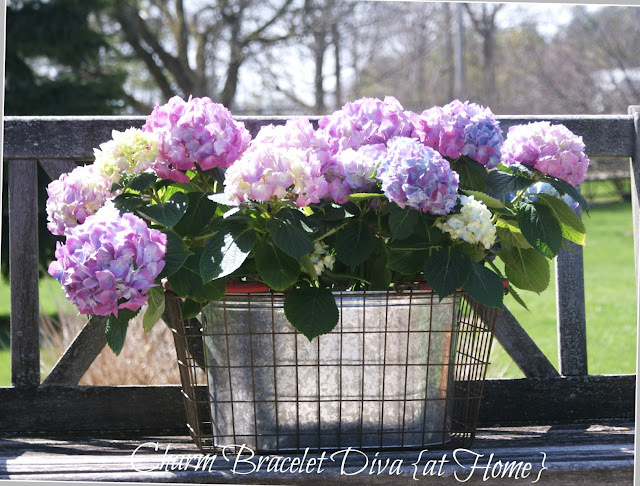 Kathleen from Charm Bracelet Diva gives us advice for our Hydrangea's care. 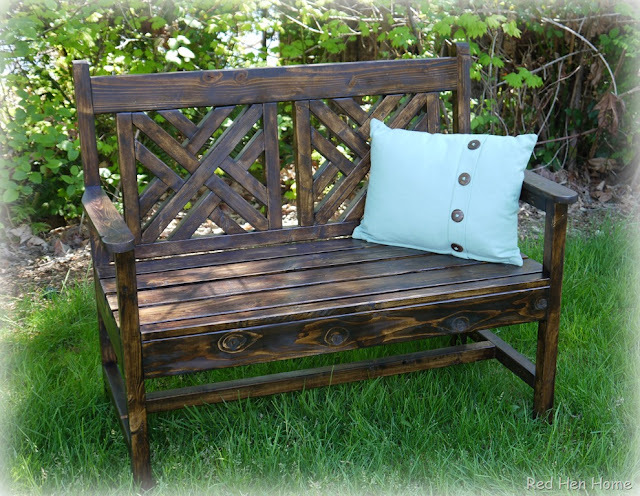 created this great potting bench from wood pallets. This week's Be Inspired is sponsored by Rose of Rosekraft, who has some of the most wonderful framed bits of vintage ephemera and die cuts. 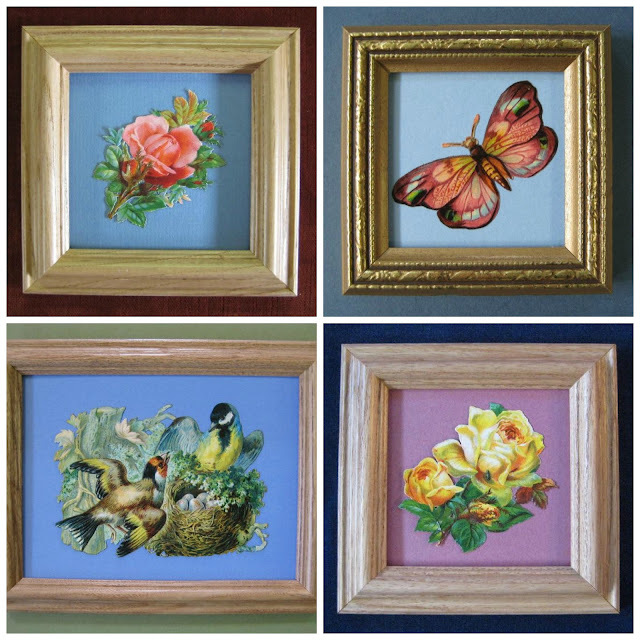 Beautifully framed, they are little works of art for your decor. Hope you'll run by and take a peek. Hope you'll join in today for the party! Be Inspired is open to all inspiring posts. 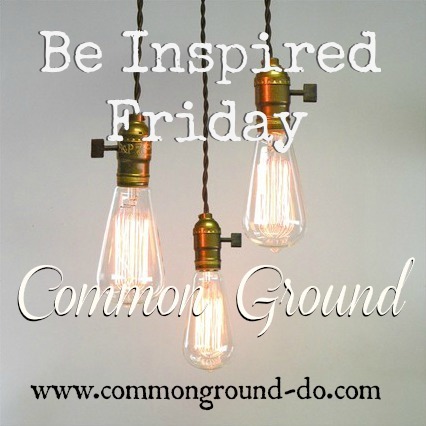 Please have a link back to Common Ground to be featured. I, too, love Polly's dining room. simple, yet elegant! So many wonderful features and so much inspiration Debra, thank you for hosting. Debra, I love that dining room and will have to check out her blog. Pretty features, Debra! I would love to have that cupboard/Welsh dresser in the dining room. Always wanted one of those, antique or new, love the look. 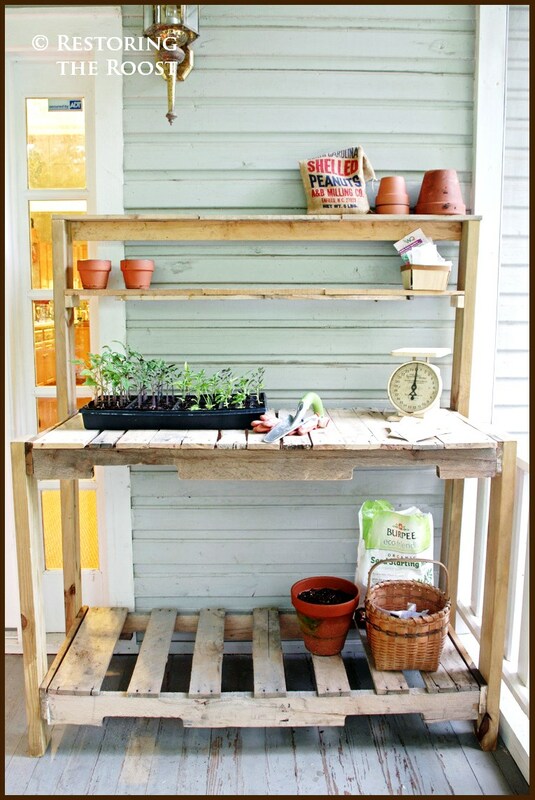 I love that potting bench, something I want to create. Thanks for hosting, Debra. I just love all these photos. Bloggers are such wonderful inspiration to us all for ideas to decorate our homes. Hi Debra, I wonder how many times our personal style changes over a lifetime? I know I've run the gamut already!! Thanks for hosting and thanks so very much for this feature! It means so very much to me. I just LOVE all these features, Debra! Thanks for hosting and have a great weekend! Hope the hubby is doing better. Looks like I am going to be busy with all these wonderful features. Beautiful featured style! Thank you for hosting and for joining me at Home Sweet Home! Thanks so much for hosting, I love the traffic it brings to my blog and seeing what everyone else has done. Great features!! thanks so much for hosting each week!! Debra, you certainly do have a little something for everyone. Thanks for making your party so fun with all the great features and the chance to link up! Thanks so much for the great party! Have a Fabulous weekend! I'm tickled that you liked my table and bench. Thanks! ...lol! did someone mention change?! I think I must be a "test drive home" kinda girl, yep! re-decorating every so often is right up my alley!! happy Inspired Friday Debra! I love Polly's fresh style. Great features all around. Thanks for hosting. Thank you for hosting, this is my first time to link up! Love the french farmhouse pics and what a pretty garden bench feature! Thanks for hosting! 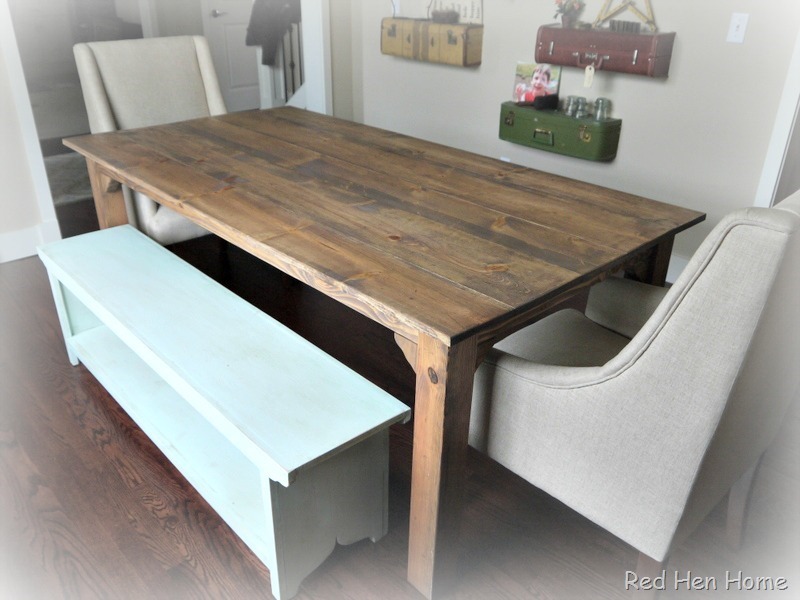 Great farmhouse inspiration! Thank you so much for hosting Debra! Debra, Thanks you for hosting! The features and inspiration are amazing!!! Thank you for another inspiring party! Rows and rows of pretty, pretty things! Oh, my! Thank you for hosting. Thanks so much for hosting! Looking at all the pretties will keep me very busy! Such wonderful features, Debra! So much talent. Wow, I love her white collection! Always in style! Thanks for hosting, Debra! 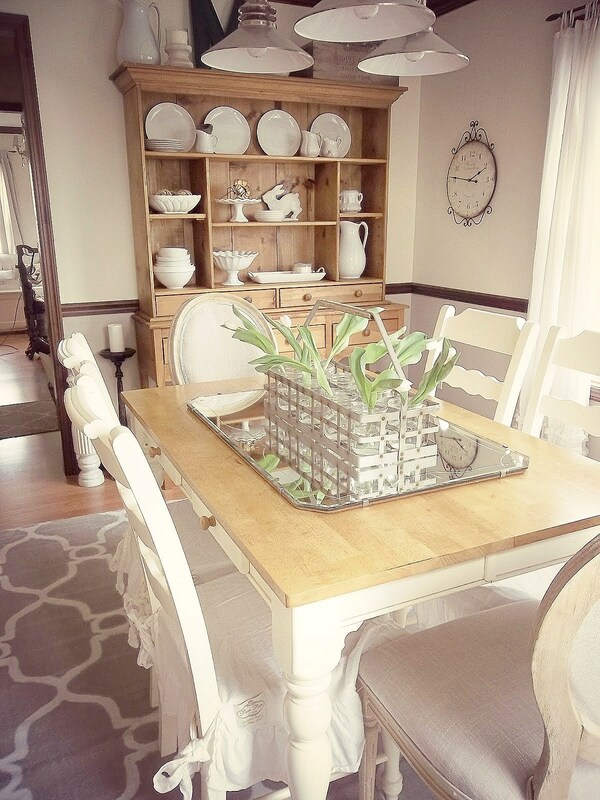 Love the diningroom too, just beautiful! Thank you so much for hosting!! Love all of the awesome inspiration. Happy Friday. Hi Debra, thanks for hosting, love joining in. Such great features (as always). Have a great weekend. Thank you! One of these days I'll have this house in order and I'll be able to start showing rooms finished instead of just my flea market finds! 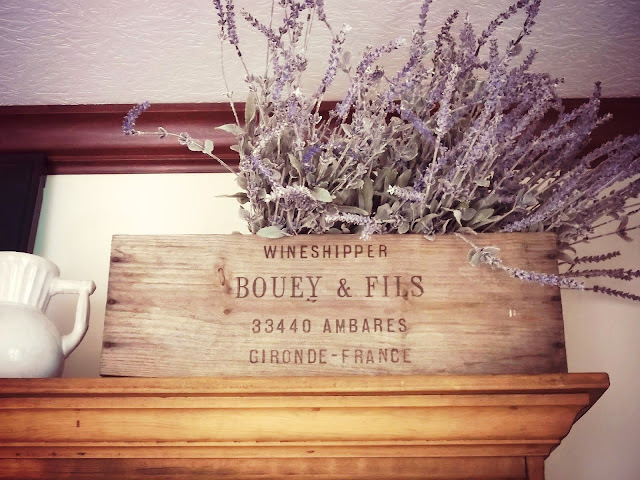 Love the French farmhouse look!! 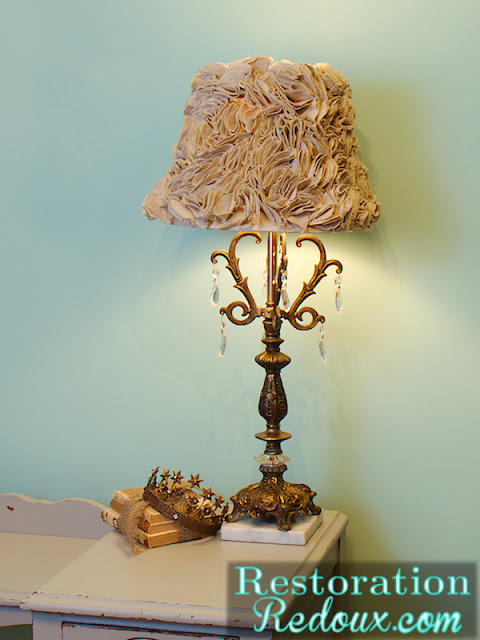 Thank you so much for featuring my Ruffled Lamp Shade! Happy Mother's Day! Hi Debra, linked up and then headed out the door. I am just getting back. Can't believe I am #1. That's never happened before. lol! Love all of the features. Going to hop over and visit a few in the morning. Love joining the party. Thank you for featuring my hydrangeas, Debra, and thanks for hosting such a great party! Have a wonderful weekend. I enjoyed seeing all of your picks this week, especially that adorable lamp shade - wow!! Thanks for hosting! love the picks this week, debra! thanks for hosting us:) happy weekend! Thanks for hosting. The table is amazing. Thank you for hosting, I love all the features and your room is perfect! Beautiful features today Debra! Very inspiring! We are longtime members of your lovely blog and would love it if you would join ours. Thanks for hosting! Lovely features; I especially am taken with Polly's dining room! Hi Debra, Thanks for hosting another Great Party! I'm going to brag and tell everyone that I sat in Polly's dinning room once and had a delicious lunch with her and a mutual friend. Her house shop and blog are all awesome. Thank you for hosting, Debra. Happy Mother's Day! Hi Debra I am so blessed to say that Polly is a dear friend ! Every time I visit her amazing home there is something new and wonderful to see ! Her home and shop are magazine worthy ! Thank you for sharing such talented wonderful people ! Love Megan's potting bench we could do with one of those here big time!